Today we’re going to have a bit of benchmark fun as we test out a processor we reviewed in 2010. 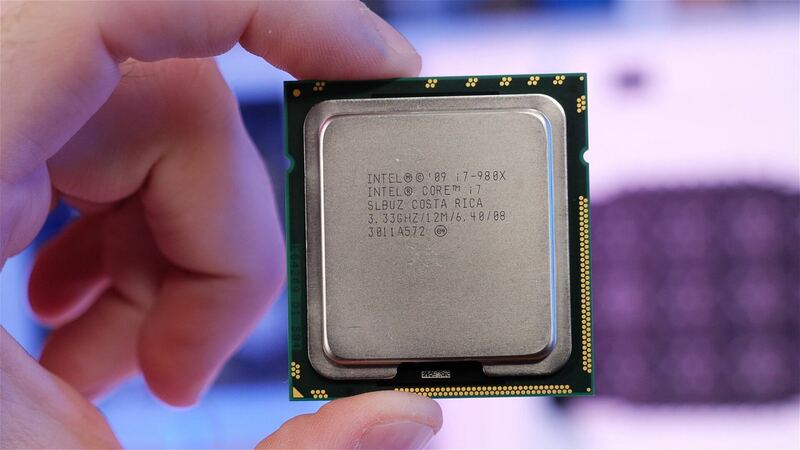 Recently we got our hands again on a Core i7-980X processor. This is a 32nm “Gulftown” part, and while we tested the "Bloomfield" 45nm CPUs extensively -- and were big fans of the Core i7-920 -- we never paid much attention to Gulftown after launch. Although Bloomfield and Gulftown processors share the same LGA1366 socket, the 32nm parts are a bit special in the sense that they pack six cores. In fact, the Core i7-980X was Intel’s first ever hexa-core desktop CPU and if you imagine it being expensive, well you’d be right. This sucker came in at $1,000 back in early 2010. The six cores operate at a base frequency of 3.3 GHz and boosted to 3.6 GHz depending on the workload. Although designed to work with DDR3-1066 memory, it was possible to run at much higher speeds and given that the LGA1366 socket was part of Intel high-end desktop platform at the time, triple-channel memory support was offered in favor of the more standard dual-channel memory. 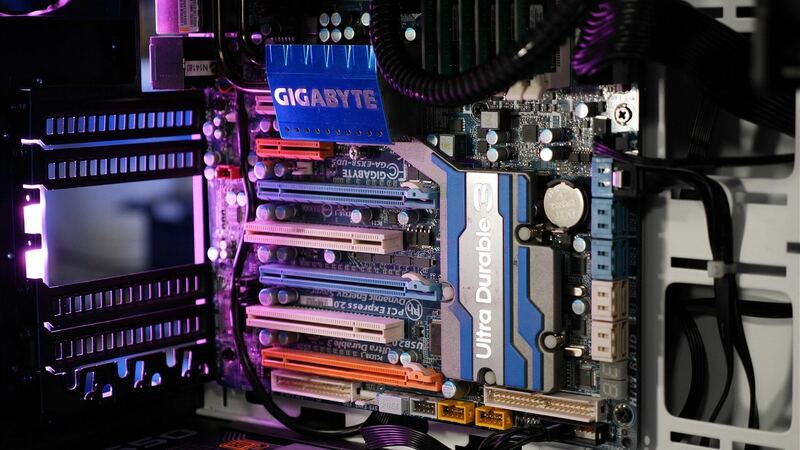 So, in short, the Core i7-980X was a beast, the best desktop CPU money could buy. But how does it stack up 8 years later? To find out I’m going to compare it with a whole heap of modern processors, including the dinky little $100 Ryzen 3 2200G. Note: This feature was originally published on 07/26/2018. We have made small revisions and bumped it as part of our #ThrowbackThursday initiative. Now, I don’t expect the 2200G to beat a 6-core/12-thread Core i7 processor running at no less than 3.3 GHz. After all, the 2200G is a 4-core/4-thread CPU that runs at a base frequency of just 3.5 GHz, has a little 4MB L3 cache and packs a maximum TDP of 65 watts. Oh yeah, did I mention the 980X is a 130 watt CPU? Still, I’m interested to see how 2010’s flagship desktop CPU compares to 2018’s most affordable Ryzen. Also thrown into the mix are the 1st and 2nd generation Ryzen 5 and Ryzen 7 CPUs along with a few Kaby Lake and Coffee Lake CPUs. First up we have the SiSoftware memory bandwidth benchmark and here you can clearly see the advantage of high-speed DDR4 memory. The Ryzen 3 2200G has almost 50% more memory bandwidth at its disposal when compared to the triple-channel DDR3-1600 configuration of the Core i7-980X. With just 23GB/s of memory bandwidth the 980X will be severely limited in memory intensive workloads. Cinebench R15 isn’t particularly memory sensitive and as a result the 6-core/12-thread 980X does reasonably well here. That said the single core performance is rather weak and shockingly even at 4.4 GHz is well down on what the 2200G offers. In fact the single thread performance of the 980X was 8% slower than the 2200G and 17% slower once the APU is overclocked. Still the 2200G’s 4-threads can’t compete with the old 12-thread CPU in multi-threaded workloads and is up to 37% slower once both CPUs are overclocked. That said when compared to a modern 6-core/12-thread Ryzen processor such as the 2600X, the 980X is 30% slower, actually 43% slower when comparing the stock numbers. Next up we have the V-Ray benchmark and here the 980X looks much slower than you might expect, particularly given what we just saw when testing with Cinebench. The result however are accurate and the reason why the 980X is so slow here is down to it’s complete lack of AVX instructions. AVX was introduced a year later with the Sandy Bridge architecture, so the 980X is going to lag behind severely in workloads that take advantage of AVX instructions. V-Ray is a perfect example of this as the 980X is only able to match the 2200G, a CPU with a third of the threads offered by the Core i7 processor. Overclocked the 980X is able to edge out the 2200G but we’re talking a 7% reduction in render time for what is likely double the power draw and we’ll look at power consumption soon. For now let’s move on to video editing performance with PCMark 10. Here the Ryzen 3 APU is able to beat the Core i7-980X, both stock and overclocked. Stock the AMD CPU was 7% faster and although that margin is reduced once both CPUs are overclocked, the plucky little quad-core was still 3% faster. The PCMark 10 gaming physics test does take advantage of core heavy processors and it doesn’t use an instruction set that’s absent on the older Core i7 model. As a result the 980X is able to match the Core i5-8400 out of the box and once overclocked beats out the 8400, 8600K and 7700K, that said it’s still slower than the Ryzen 5 1600 and much slower than the newer Ryzen 5 2600 models. Next up we have the 7-zip file extraction test and here the Core i7-980X does very well and when compared to the more modern 6-core/12-thread processors like the Ryzen 5 1600, it was just 11% slower. That said overclocked it was able to match a stock Ryzen 5 2600, so not a bad result, of course the Ryzen CPUs can also be overclocked, but still not a bad result. The Corona performance is also very respectable and here the 4-threaded Ryzen 3 2200G is completely overwhelmed. Blender is another application that employs AVX instructions and like what we saw with V-Ray the Core i7-980X really suffers due to it’s lack of AVX support. As a result it’s reduced to quad-core like performance as it matched the Ryzen 3 2200G. Overclocking did help but even so it was well down on where you might expect a 12-threaded CPU running at well over 4 GHz to be. Handbrake also runs AVX code and again we find that the 980X is only able to deliver quad-core like performance making it significantly slower than a modern 6-core/12-thread CPU. Now for some gaming benchmarks and we see despite having 3x the threads and a notable clock speed advantage the 980X isn’t exactly worlds faster than the Ryzen 3 2200G. Sure it was 25% faster when overclocked and that is a noteworthy margin but honestly we expected more in a seriously core heavy game. That said the 980X does fair even better in Battlefield 1, out pacing the 2200G by a convincing 36% margin once both CPUs are overclocked. In fact overclocked the 980X isn’t much slower than the Ryzen 5 1600, albeit a stock R5 1600, but still not a bad result. However most games aren’t as core heavy as Battlefield 1 and Ashes of the Singularity and we see a good example of this when testing with Far Cry 5. Here the 2200G was 8% faster than the 980X when comparing both CPUs stock performance. Overclocking does put the 980X back ahead but it was still slower than a stock R5 1600. Last up we have Vermintide 2 and this title does scale quite well on core heavy CPUs and as a result the 980X was 25% faster than the 2200G when comparing overclocked results. It was also 18% slower than a GPU limited Ryzen 5 2600. Okay time for some total system power consumption figures and please note these numbers also include the GTX 1080 Ti. Here we see the Ryzen 3 2200G system drawing up to 315 watts from the wall while the stock 980X increased consumption by 55% hitting 489 watts and again remember that’s entire system consumption which makes the over 50% increase even more shocking. Then once overclocked the 980X system was sucking down 64% more power than the overclocked 2200G. These are the scary numbers, full CPU load with light GPU usage. Now the stock 980X system is drawing 93% more power than the 2200G and 133% more once overclocked. Getting back to the stock numbers the 980X also consumed 30% more power than the 2600X, so unsurprisingly the 8 year old CPU isn’t very efficient by today's standards. Well there you have it, the Core i7-980X compared to a number of modern CPUs in 2018, that was a bit of fun. If it weren’t for the lack of AVX support the 980X would have looked much more impressive in our application benchmarks. But when it came to gaming, the results weren’t bad, especially with that 4.4 GHz overclock. Of course, power consumption is atrocious but that’s to be expected when looking at a 6-core CPU from 2010 using a 32nm process (!). Ignoring the AVX workloads the 980X was 37% faster than the 2200G in Cinebench R15’s multithreaded test when comparing out of the box performance. However it packs 50% more cores and with Hyper-Threading support offers 3x as many threads. So a 37% increase for the multi-threaded score isn’t that impressive and that’s because the single thread performance was down by 26%. The Core i7-980X doesn’t stack up nearly as well to a modern 6-core/12-thread processor, and even the first generation Ryzen 5 1600 had its way with Intel first ever 6-core desktop CPU. The R5 1600 was 19% faster in the Cinebench R15 multithreaded test and 25% faster in games such as Ashes of the Singularity. Though this test was mostly about getting perspective and having some fun -- it’s certainly not intended to be buying advice -- the 980X made little sense in 2010 and it certainly makes no sense in 2018, especially given the asking price seems to be around $200. That said, there is a certain breed of PC users that will be quick to point out you can get a Xeon equivalent for much less and that’s true, the Xeon X5675 for example can be regularly had for around $80, less than half that of the 980X. These are essentially the same 6-core/12-thread CPUs, they even work on the same X58 motherboards and can be overclocked to similar frequencies, some of the better chips will even do 4.5 GHz. The problem I have with these CPUs isn’t necessarily the CPUs themselves, as we’ve seen the overall performance isn’t bad despite some pretty horrendous power figures, assuming you’re not running software that takes advantage of AVX. The big problem are the motherboards, just getting one can be hard enough but getting one for a reasonable price is nearly impossible. 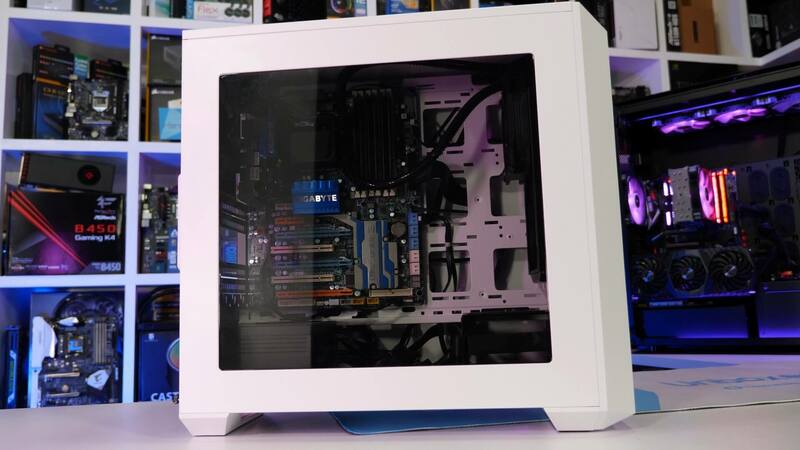 Assuming you don’t want to spend every waking hour seeking out a bargain, though even then there are few to be had, you’re looking at having to pony up around $100 - $150 for an X58 motherboard and the better examples, the boards you’ll actually want to use are much closer to the $150 mark. Realistically you’re looking at around $230 for a Xeon X5675 and X58 motherboard combo. 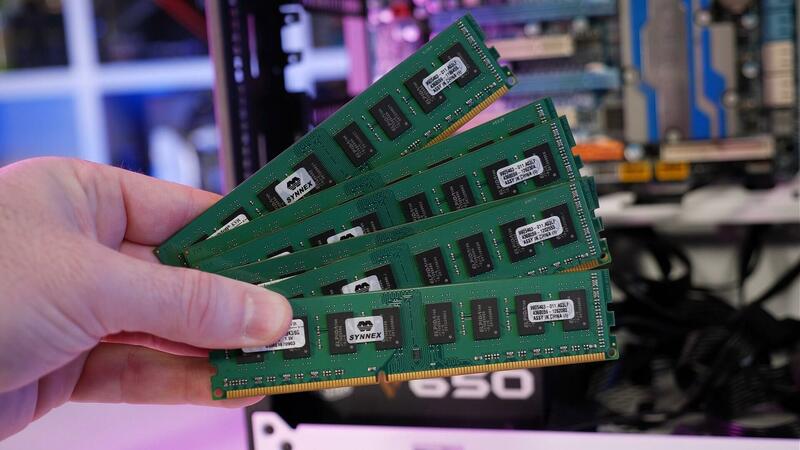 You’ll also need some DDR3 memory, but that's much cheaper than DDR4 right now, so that’s probably the biggest win for this combo, 12GB looks to be about $70, about the same price as 8GB of DDR4. So with 12GB of DDR3, let’s say $300 for the Xeon build. Alternatively, you can buy the Ryzen 5 2600 for $150, a B350 board for $70 and 8GB of DDR4 for around $70, a grand total of ~$300. Stock, without having to do any overclocking, the Ryzen 5 2600 build smokes an overclocked X5675. Personally I no longer get the love affair some people have with these old Xeon CPUs, pre-Ryzen they were great but unless you can get the CPU, motherboard and memory combo for well under $200, it’s simply not worth your money anymore.